Our 2 bedroom cabins have arrived! 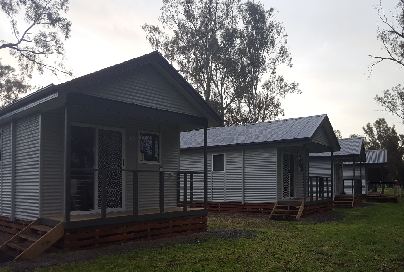 Our affordable deluxe two bedroom cabins are luxurious while enjoying the peaceful surrounds of the park. Be close to nature and enjoy the perks of camping but in the comfort of a cabin! We have two varieties of cabins available, with all the basics you’ll need during your stay. 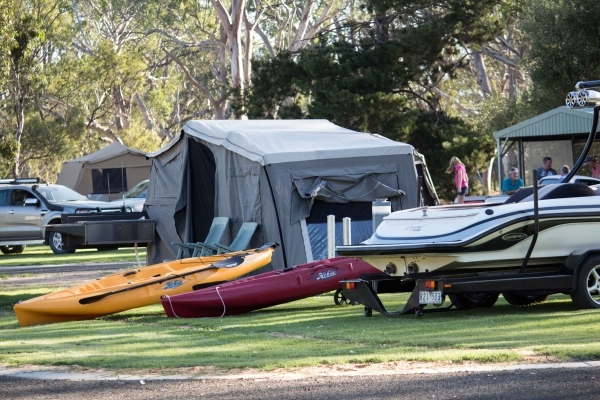 Our camp sites boast some of the best grass you’ve seen in a caravan park! 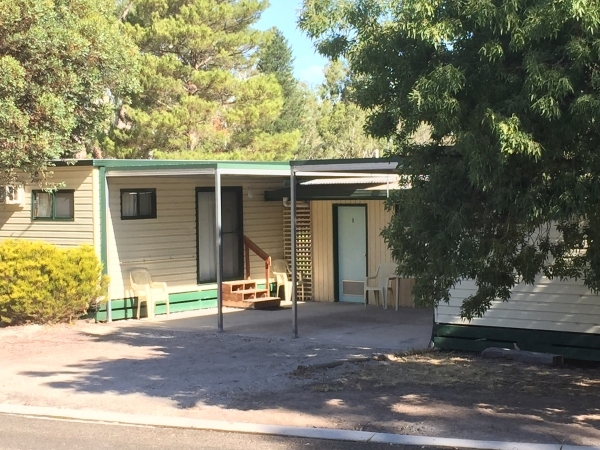 We have over 40 powered sites available, including 10 with ensuites. Our new powerheads include water and a refuse pit as well as power outlets, all in one convenient location. For those who wish to get back to basics, our camping area (non-powered) can fit a small army, with over 40 sites available. Water taps with potable water are located throughout the camping area for your use. Pick a spot under the shady river gums or bask in the glorious sunny spots – the choice is yours! Off-peak period 1st May 2018 to 20th September 2018. Tariff Incudes How many People? *Please note: Cash only for deposit, hire and wood. 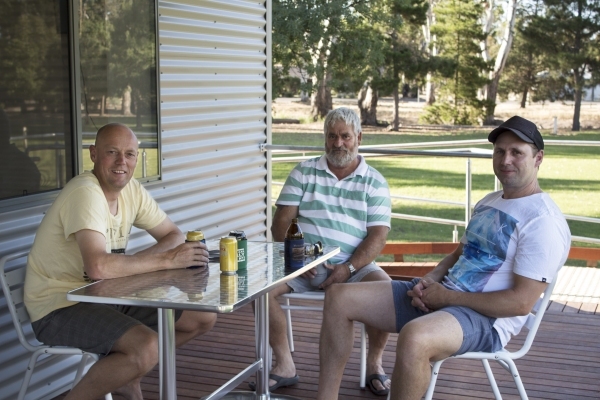 All funds raised are donated to the Dimboola Town Comittee to go to the use of town projects. *Prices are for off- peak period only. Peak period 21st September 2018 to 1st May 2019. *Prices are for peak period only.